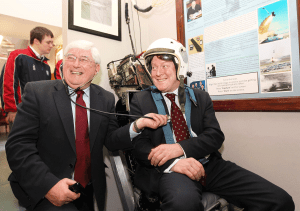 Never before have Irish scientists, inventors and engineers all been celebrated together in such a comprehensive way. An Offaly man, Henry George Ferguson, revolutionised the farming industry by designing and building a plough with a 3 point linkage to the tractor. His invention and design is still widely used today. A sample of the back end of of a tractor is on view for all to see. Along with the tractor there are many more fun, weird and wonderful inventions and experiments on display throughout this section. Included is a commuter railway track, fibre optics displays and a link to NASA space station. 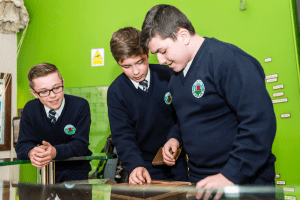 Are the Science & Discovery zones suitable for school tours ? Yes the Science and Discovery Zones are very suitable for school tours. There is a wealth of information on Irish scientists, inventors and engineers. Their inventions and research are presented in practical terms in such a way that school children can understand, and through online resources and touch screen technology the information can be made more advanced to suite the more senior pupils. There are also activity sheets and resources available for each stage in the educational cycle.